North. East. South. West. Directions are often used symbolically. In which direction a character heads often foreshadows his moral growth or decline. There is, however, one important caveat to note. 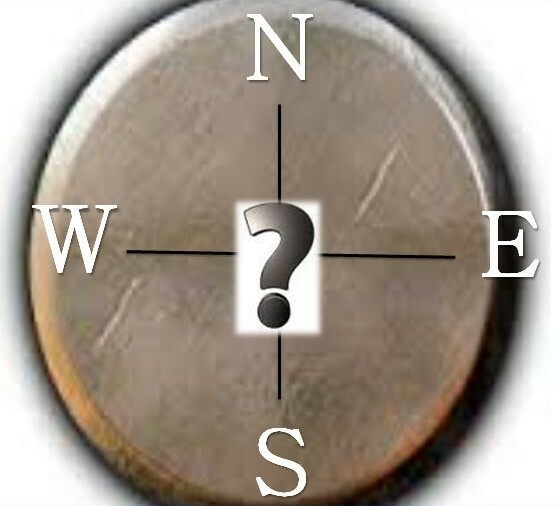 The literary symbolism associated with direction is used by northern hemisphere European/North American authors. You’ll figure out why in a moment. NORTH is traditionally associated with colder weather, and so is linked to austerity, starkness, industriousness, isolation, cold-heartedness, hostility, and bitterness. Like the thick layers necessary to protect one from the cold ( be it psychological, spiritual, or emotional ) a character wears these layers as emotional protection. SOUTH is warm temperatures and sunny climes. It’s where the wealthy went for rest and relaxation. It’s associated with plenty, hedonism, clothing removal, and the hot sweaty acts one engages in when naked. A character’s lusts, passions, and raw subconscious are exposed. Not convinced? Think of the geography of Game of Thrones. It’s a fictional world—George R.R. Martin could have set the saga in the southern hemisphere but didn’t. Even the name Stark is descriptive of a cold northern landscape. WEST: The symbolism of this direction might be an American thing. Freedom from rules, freedom from laws, adventure, fresh starts, morality, and possibilities are associated with this direction. In Mark Twain’s Huck Finn, Huck and Jim decide to ( spoiler alert ) go west where they will be free from the racism and prejudice they encountered in the story. Ayn Rand’s Atlas Shrugged is another example. John Galt and his groupies hide out in a valley in the west. EAST: Exotic and mysterious, it’s linked to renewal, rebirth, early civilizations, and the location of the Garden of Eden ( kind of vague directions if you ask me ) and yet it’s also associated with wealth and corruption. So before having your character head off somewhere, you might want to consider if direction is important. This entry was posted in ROCK your Writing and tagged literary symbolism, symbolism in literature, symbolism of east, symbolism of north, symbolism of south, symbolism of west, writers blog, writing blog on February 22, 2015 by lzadmin.